Need a new afternoon snack? How about something low-carb to munch on during football games? 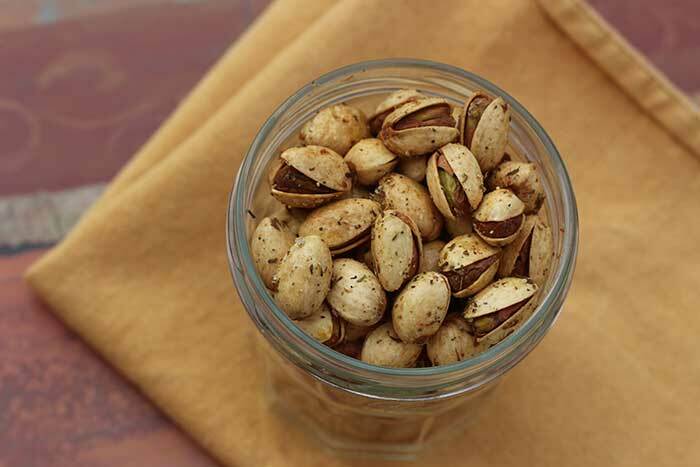 Try these easy-to-make spiced pistachios with hints of thyme, sesame, and lemon. To make these spiced pistachios, you can either mix up my Low-Sodium Za’atar Seasoning or buy a blend from someone like the Teeny Tiny Spice Company of Vermont or Spicely Organic instead (affiliate links). If you like nuts, pistachios are a good option as they contain more essential nutrients than other nuts and may keep your heart healthy. Almost all of the fat in pistachios is unsaturated, but they still have a lot of calories and should be eaten in moderation. Studies have shown that eating pistachios in the shell will greatly slow down your rate of consumption. In a large bowl, toss together pistachios, olive oil, and seasoning. 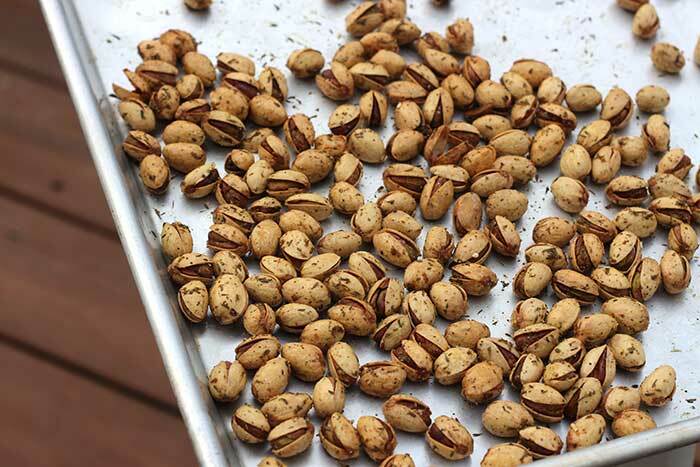 Spread on a baking sheet, pull out any empty shells, and bake for 15 minutes. Stir, then bake another 10 to 15 minutes or until toasted. Cool and store in a airtight container.